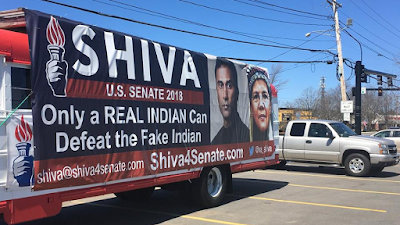 You are currently browsing the archives for the Elizabeth Warren category. Saying that United We Dream is far outside the mainstream on immigration issues is understatement on steroids. Their statement starts off with a outrageous statements and finishes the same way. Apparently, United We Dream isn’t capable of making rational arguments. I’ve seen fifth graders who’ve made more adult-sounding arguments than that. Then again, it’s typical for hardline progressives to immediately jump to race-baiting. The thought that they’ve broken the law didn’t enter their statement. Instead, there’s just a sense of entitlement to living in the United States. Following the rules of the United States hasn’t entered these illegal immigrants’ minds. By saying “By ending DACA, @realdonaldtrump subjected 800k Dreamers to deportation. Now he wants to hold them hostage to Steven Miller’s anti-immigrant wish list. It’s insulting. We already have a bipartisan solution to the Trump-created crisis: it’s called the Dream Act”, Sen. Pocahontas has told America that she hates the rule of law. 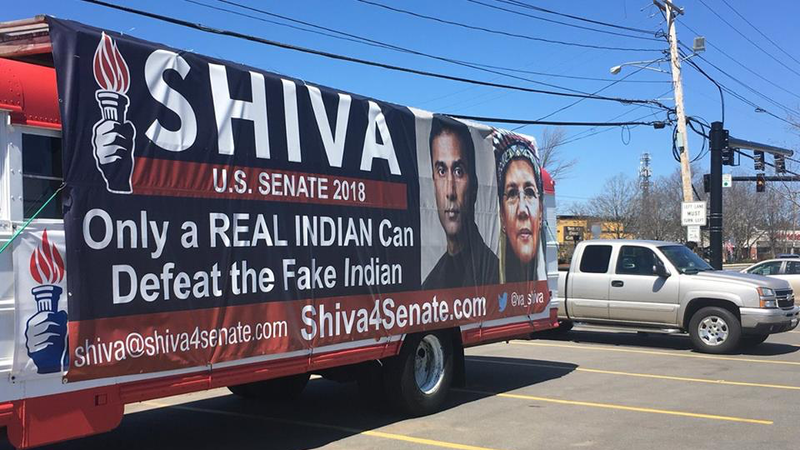 That isn’t surprising since she apparently thinks she’s a Native-American even though she’s white. We don’t need people who think they can make up the rules whenever they want. What BS. Literally the day after all Democrats in the House and Senate voted against the Tax Cut and Jobs Act, Sen. Franken is attempting to justify the Democrats’ refusal to cooperate with Republicans in cutting people’s taxes. This is a Democrat difficulty. It isn’t just Sen. Franken who has difficulty working with Republicans. So-called moderate Democrats like Joe Manchin, Joe Donnelly, Heidi Heitkamp and Jon Tester made initial ‘friendly noises’ before voting like Elizabeth Warren. With the Tax Cuts and Jobs Act, Democrats immediately opposed the legislation before the first page was written. That’s the opposite of deliberation. There’s nothing deliberative about that. That fits the definition of argument more than it fits the definition of deliberation. There isn’t any proof that Sen. Franken tried identifying the truth. That’s why it’s one of the first casualties upon entering Washington, DC. Rather than lamenting the death of the truth, Democrats should try employing it more consistently. 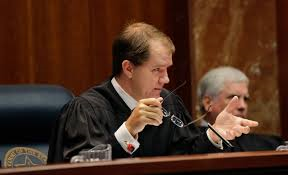 The notion of moderation and reasonableness within the Democratic Party died this afternoon when 48 Democrats and independents voted against cloture to proceed to a final vote on Judge Don Willett. Less than a week ago, the American Bar Association, aka the ABA, gave Judge Willett a “Fully Qualified” rating, their highest rating. That means so-called Democrat moderates Heidi Heitkamp, Joe Manchin, Joe Donnelly, Jon Tester, Mark Warner, Tim Kaine, Bill Nelson and Bob Casey voted to prevent a fully qualified judge from getting a seat on the Fifth Circuit Court of Appeals. Despite these Democrats’ immoderation, Willett will be confirmed. When he is, he will be part of a record class of judicial confirmations in a president’s first year. As good as that is, what’s most impressive is the quality of these judges. 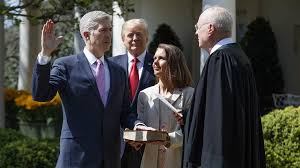 If ‘moderate’ Democrats vote the same way on every Trump-appointed judge as Bernie Sanders and Elizabeth Warren, where’s proof that the term moderate is anything more than an election ploy? It’s like the term Blue Dog Democrat. It sounds nice but they’re only Blue Dogs until Nancy Pelosi needs them to vote like Keith Ellison. Judge Timothy Kelly sided with President Trump in the lawsuit brought by Leandra English in her quest to be the Acting Director of the CFPB. Don’t be surprised if the CFPB is abolished by the US Supreme Court in the next 3-5 years. It’s just waiting for a lawsuit to be filed questioning its constitutionality.